It wouldn't be a normal week without oil pundits taking into account all the geopolitical factors affecting prices and predicting gloomy times ahead: and in this regard, the Organization of the Petroleum Exporting Countries (OPEC) earlier this week highlighting a range of risks brewing in the global economy that could hurt demand inspired others to weigh in with their take on China, Iran, and other familiar issues. Amrita Sen, co-founder and chief oil analyst of Energy Aspects, told Bloomberg that despite OPEC sounding the alarm, "so far, it's still very, very solid oil demand growth"; however, she added that "the [U.S./China] trade war is something we're following very closely, because that can really become a bigger deal if the U.S./China [hostilities] don't de-escalate." She also cited the contagion of the "banking crisis across Latin America and across Europe - that's what we're watching for." Sen warned that oil prices could break out above $80 a barrel unless other producers act to offset deepening supply losses in Iran and Venezuela: "I think it's only a matter of time before we breach $80." Brian Battle, director at Performance Trust Capital Partners, told Bloomberg that "the two things that have been tormenting oil is not supply - there's plenty of supply on the market - and Iranian oil will get on the market either through Africa or Turkey or some other way: demand is what it depends on, is there going to be demand?" Battle added that "the federal reserve is raising interest rates, ergo making the dollar more expensive, which is also putting a damper on demand." He predicted the dollar will keep getting stronger, and that combined with geopolitical tensions will continue to push crude prices lower. Meanwhile at CNBC, Tom Kloza, co-founder of the Oil Price Information Service, warned that "The next six to seven weeks we're going to see demand for crude drop by about 1 to 1.5 million barrels a day: it's refinery maintenance season." He suggested that this seasonal disruption may be worse than in previous years: "This is the last chance for a number of refineries to perform some of the maintenance they need to do to get their units in business for the tail end of 2019 where there's a major shift in marine vessels needing to use a more diesel-like fuel. "There's more maintenance than normal." With weaker refinery demand in the U.S. and geopolitical threats globally, Kloza predicted Brent will move as high as $80, and West Texas Intermediate will fall to as low as $65 per barrel. As for the likelihood of the U.S. cutting Iran's oil exports completely - a scenario that is fundamental to widespread predictions of a chaotic crude market in the months to come - Hossein Kazempour Ardebili, Iran's OPEC governor, told Reuters that it will be difficult to achieve because the oil market is already tight and rival producers cannot make up the shortfall. Defying common wisdom and numerous reports stating otherwise, he declared, "There is no spare capacity anywhere." 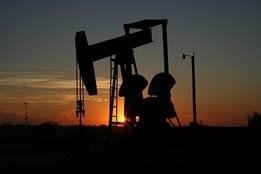 OPEC earlier this week forecast that global supplies will be just fine moving forward, but the tensions between the U.S. and China coupled with economic doldrums in many countries will cause demand growth this year and next to decline, albeit slightly compared to earlier predictions.